Extreame Savings Item! Free Shipping Included! 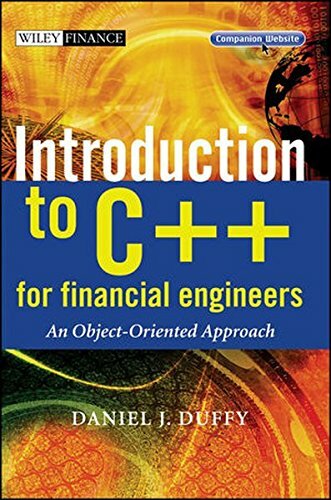 Save 48% on the Introduction to C++ for Financial Engineers: An Object-Oriented Approach by Wiley at Translate This Website. Hurry! Limited time offer. Offer valid only while supplies last. This book introduces the reader to the C++ programming language andhow to use it to write applications in quantitative finance (QF)and related areas. The kinds of applications include binomial and trinomialmethods, Monte Carlo simulation, advanced trees, partialdifferential equations and finite difference methods. This book includes a companion website with all source code andmany useful C++ classes that you can use in your own applications.Examples, test cases and applications are directly relevant toQF.